“Mom” is thrilled to announce that the winner of the Shop to be Green $25 E-Giftcard Giveaway is Sue K.! We hope you have an eco-fabulous time browsing their website and picking out something special for yourself or a loved one! We will be eagerly waiting to hear what you chose with your e-giftcard. Do you have a budding environmentalist, marine biologist, future entomologist or zoologist at home? Perhaps your little one just adores animals of any kind! If so, the following three new books will educate and delight children as they turn the pages to learn all about creatures both great and small! Oh, how curious critters can be! Unlock the mysteries of creatures such as the Eastern Box Turtle, Fox Snake or Black Swallowtail Butterfly in this engaging picture book by David FitzSimmons! Filled with illuminating facts and gorgeous, detailed images of creatures up close, Curious Critters will keep little ones turning page after page to learn more. What is even more exciting is that in addition to the book itself, you can visit the Curious Critters webpage to print coloring pages, word searches and even send free e-cards with your favorite critter. The learning extends way beyond the book with these interactive tools! 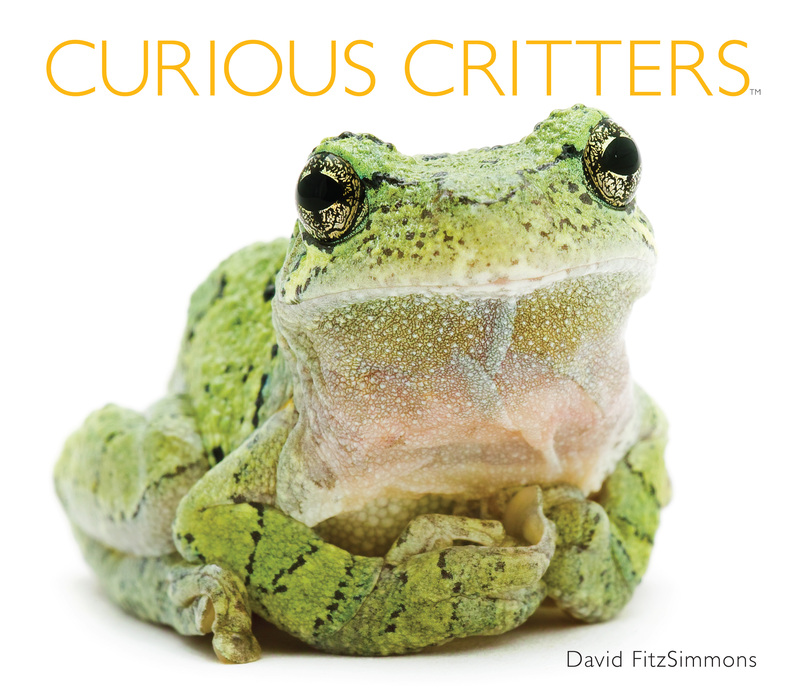 Curious Critters is a fascinating read – showing children that science can be interesting and fun! To learn more, visit curious-critters.com. 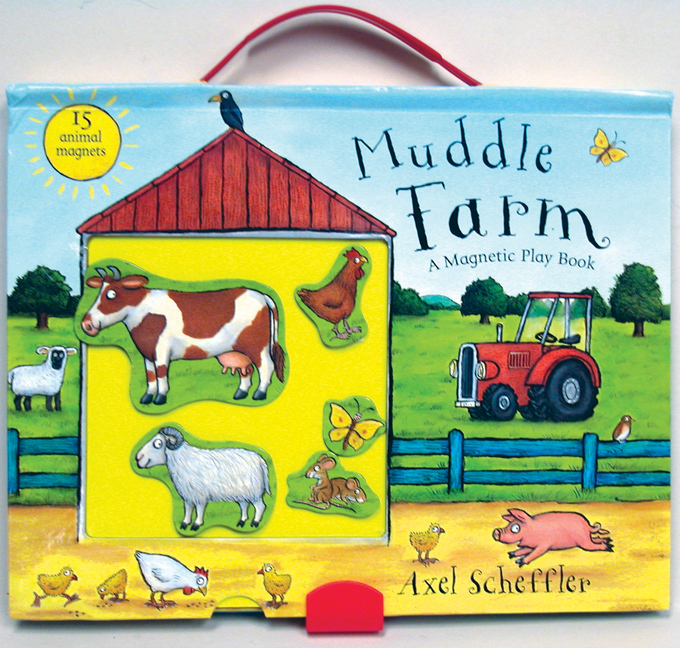 A take-along farm adventure – this colorful, entertaining book by Axel Scheffler featuring magnetic farm animals to add to each scene as the story progresses is both amusing and educational! Neigh and quack your way through Muddle Farm with your child as they learn all about the animals on the farm. When finished reading and playing, store the farm animals back in the barn! Available at barronseduc.com. 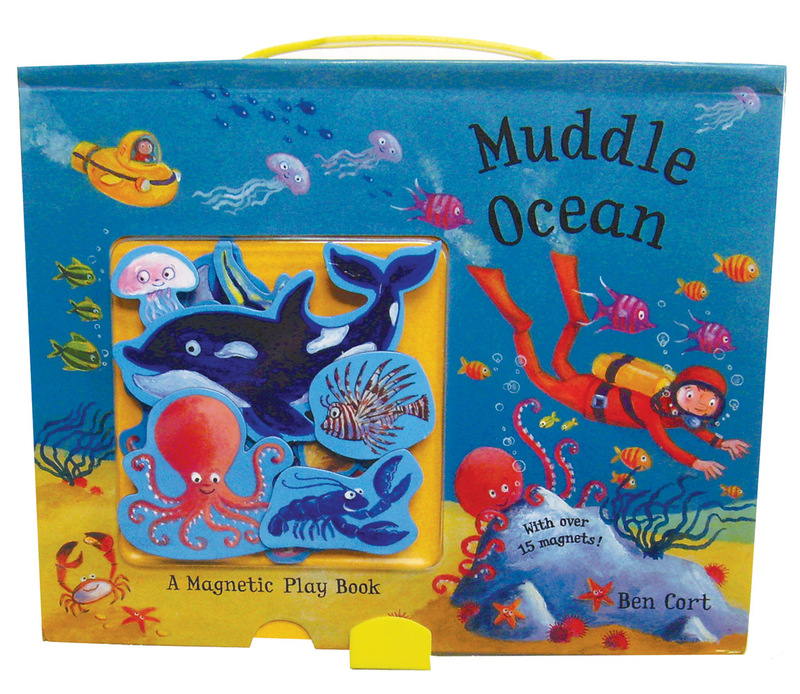 Muddle Ocean as they explore the creatures of the deep! A handle on top of the book makes it easy to carry along with you for trips in the car, plane, or anywhere your child wants to go! When done exploring the ocean, place all of the sea creatures back in the coral reef for safe-keeping! Visit barronseduc.com to order. This is an obvious suggestion for those who celebrate Halloween. 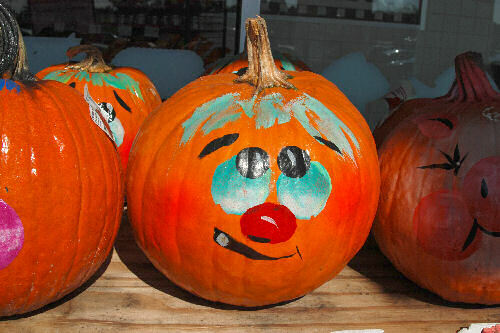 Pumpkin carving is a fun activity the entire family can enjoy. After gutting the pumpkin the seeds can be roasted and flavored for a healthy snack. After Halloween is over, the jack-o-lantern can be added to your compost pile. Turning your old newspapers, discarded mail, and bills into art is a great way to bring the family together. Paper mache is a simple way to recycle discarded materials and make something new. Use 1 part flour and 2 parts water to create green paper mache paste. Mix it well with a little salt and boil it for around 3 minutes until it has a pudding like consistency. Left over papers, old homework, and junk mail can be dyed and cut up to create colorful Christmas confetti. Soaking the paper in juice or tea is a natural way to colorize the bland paper. You can use a paper shredder to shred it into Christmas tree tinsel or sit with kids and cut into smaller pieces to make decorative confetti. You can reuse old toilet paper tubes to create embellished napkin rings for Thanksgiving dinner. Use seeds, nuts, glitter, or even sequins to decorate and add flair. It’s a great way to get the family together for a simple and useful project. Music is a great way to bring the family together, but why just sing when you can start a Christmas band. Add to your caroling by creating instruments from recyclable items. Cardboard tubes from paper towels or told paper can easily be turned into maracas by adding dried beans and sealing the ends with paper. Sealing the ends of a tube and poking small holes along it can create a flute to add to the band. Another use of dyed paper is for wrapping gifts. Use newspaper, old assignments or any other paper that is lying around to create wrapping paper. Add personality with paints or markers to create a decorative gift for your loved ones. This holiday season make it all about family and the earth. Use recyclable materials to deck the halls and spend time with the ones you love. With a little time and creativity you can create a Christmas full of love and memories. When the holidays are over, all your decorations can be added to the recycle bin to help conserve the planets resources. Music teacher Genevieve Armstrong loves traditional songs from many countries, and uses the www.christmassongs.org website to find a wide variety of Christmas lyrics and new ideas for choir performances. This scrumptious combination of vegetables, herbs, fresh lemon zest, olives and capers just sings of the Mediterranean, and dresses up these lean ribeye steaks so nicely. 1. Season steaks with salt and pepper. Brush with olive oil. 2. 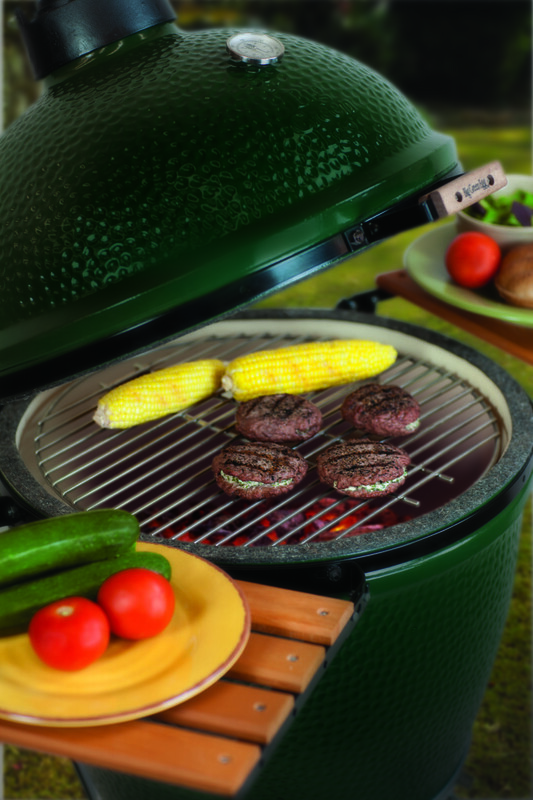 Grill steaks, covered with grill lid, over medium-high heat (350 to 400degrees) about 8 to 10 minutes on each side, or until desired degree of doneness. 3. Sauté onions and garlic in olive oil for 3 minutes or until tender. Stir in tomatoes, broth, vinegar, sugar and oregano; bring to a boil. Add olives, capers and lemon zest; simmer until heated through. 4. To serve, arrange steaks on a serving platter; top with sauteed mixture and garnish with fresh parsley, if desired. Do your wee ones love HAPPYBABY Pouches, like “Mom’s” little one? Her sweetpea prefers to call them “shoe pack” which translated means “squeeze pack.” Whatever your kiddos call them, they are probably popular in your home! Now, HAPPYFAMILY has introduced a new product to their line of awesome organic goodies – the HAPPYSQUEEZE Pom, Apple + Peach! In short, it is super duper because not only does it contain only organic ingredients, but it is loaded with superfruits + supergrains! This yummy-in-your-tummy smoothie boasts half a serving of fruit, six grams of protein, two grams of fiber and is a good source of omega-3 fatty acids. Parents and children alike will love this convenient snack for on-the-go while in the car, at school or work, or hiking on the weekend! Remember, September is National 5 a Day Month, so this is another great way to get your five servings of fruits and veggies per day! To learn more about the deliciously healthy offerings from HAPPYFAMILY, visit www.happybabyfood.com. Autumn has finally arrived. Leaves are changing colors and the air is turning cool and crisp. If you have been considering throwing a get together, why not try your hand at preparing some fall-themed finger foods? Here are 3 recipes that are sure to please friends and family. 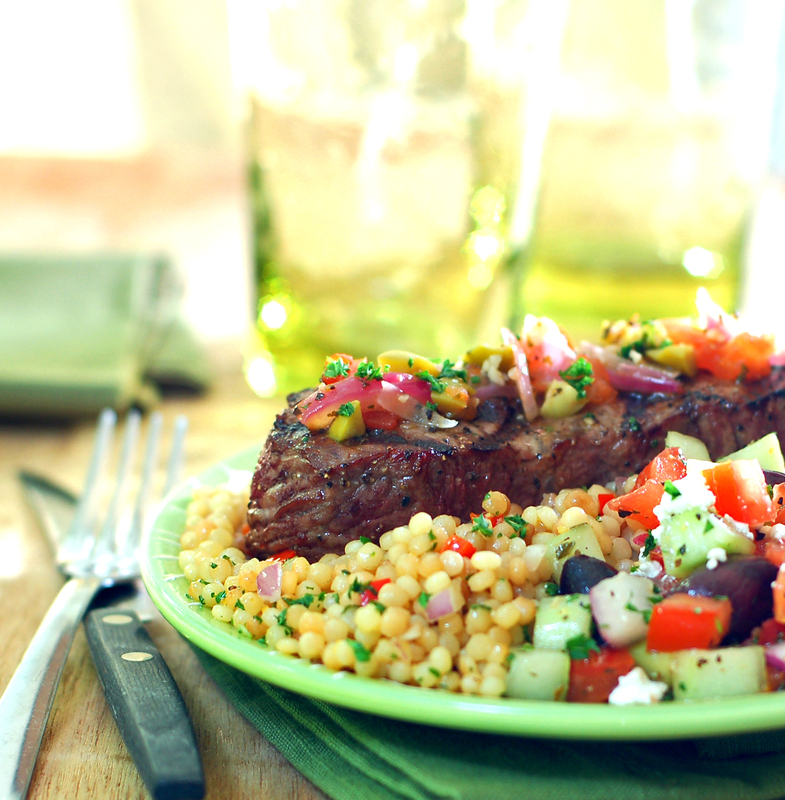 Break out your indoor grill pan and make some kabobs. A mix of colorful, fresh vegetables and a simple yet delicious marinade will be certain to impress your guests. Serves four. 5 cups of various vegetables such as eggplant, onions, zucchini squash, mushrooms and cherry tomatoes. Tofu cubes can also be added for protein. Chop the vegetables into bite-size cubes and place in a bowl. 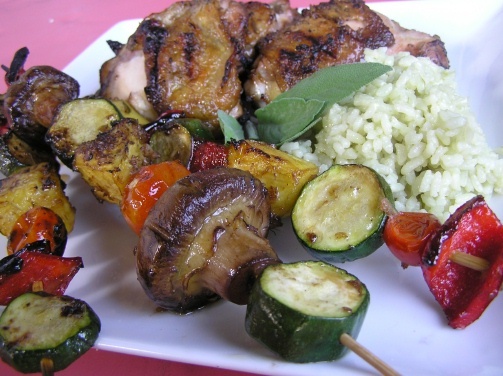 Mix together the marinade ingredients and then pour over the vegetables, coating thoroughly. Place in the refrigerator for anywhere from 1-24 hours. The longer the vegetables marinate the more flavorful they’ll be when cooked. Once marinated, place the vegetables on skewers, alternating the vegetables as they are threaded on the skewers. 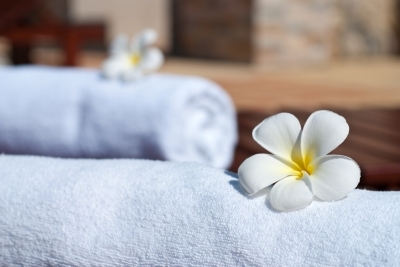 (If you are using bamboo skewers, make sure to soak them in water for 30 minutes prior to prevent them from burning.) Finally, place the kabobs on your grill over medium-high heat and turn once or twice to ensure the kabobs are evenly heated. Cook for 8-10 minutes or until light grill marks appear. Heat the milk in a saucepan until it simmers, then reduce the heat and add the chocolate. Slowly stir until the chocolate is fully melted. Add the chili powder and cinnamon and stir until fully combined and smooth. Transfer the mixture to a fondue pot with a low flame and serve with graham crackers, a variety of fruit for dipping. Butternut squash is one of the vegetables that remind many of us of autumn. Pair this dip with pita chips and pumpkin seeds (also known as pepitas) for a healthy and delicious appetizer. Yields 1 full cup. Place the squash in a medium saucepan; cover with water so that it rises 2 inches above the squash. Bring the water to a boil; cover, reduce the heat, and cook 15 minutes or until tender and then drain. Heat oil in a large skillet over medium-high heat. Add onion to pan and sauté until tender. Add sage, salt, black pepper and red pepper and continue to sauté for 2 more minutes. Place the drained squash, onion mixture, and sun-dried tomatoes in a food processor and process until smooth. Add a tablespoon or 2 of water if needed to get a smooth consistency. Spoon the mixture into a medium bowl and sprinkle pepitas on top. Serve with pita chips. 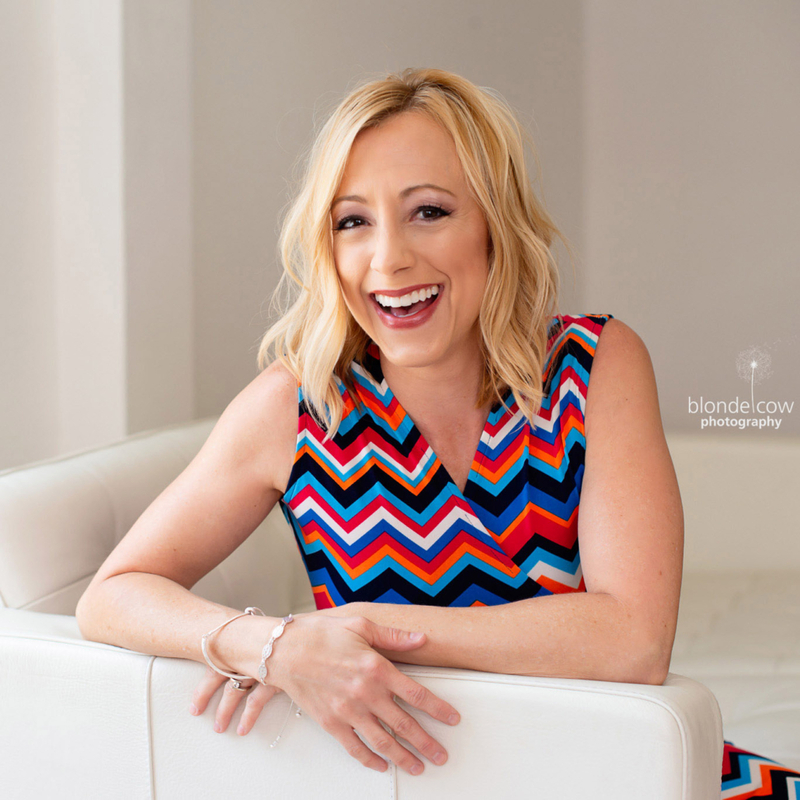 Vegan chef Audrey Summers loves having her kids join her in the kitchen, and enjoys teaching them safe and healthy habits. Audrey is also a content contributor for cliqstudios.com, a kitchen makeover site featuring hundreds of choices for kitchen cabinets and accessories such as knobs and pulls, and crown molding. Fresh herbs add great flavor without adding any additional calories or fat to these lean burgers! 1. Divide ground beef evenly to form 8 large flat patties. 2. In bowl, mix fresh herbs with cream cheese. Spread the herbed cheese mixtureto the edge of four of the patties. Top each patty with second patty and pinchedges to seal them closed. 3. Grill 4 minutes; turn and grill another 3 to 4 minutes. 4. Serve on whole grain buns with fresh, healthy sides like a mixed greensalad, grilled zucchini slices and frozen yogurt with fresh berries for dessert. Cook up some delicious and nutritious dishes with your children with a little help from Sesame Street’s most loved characters! 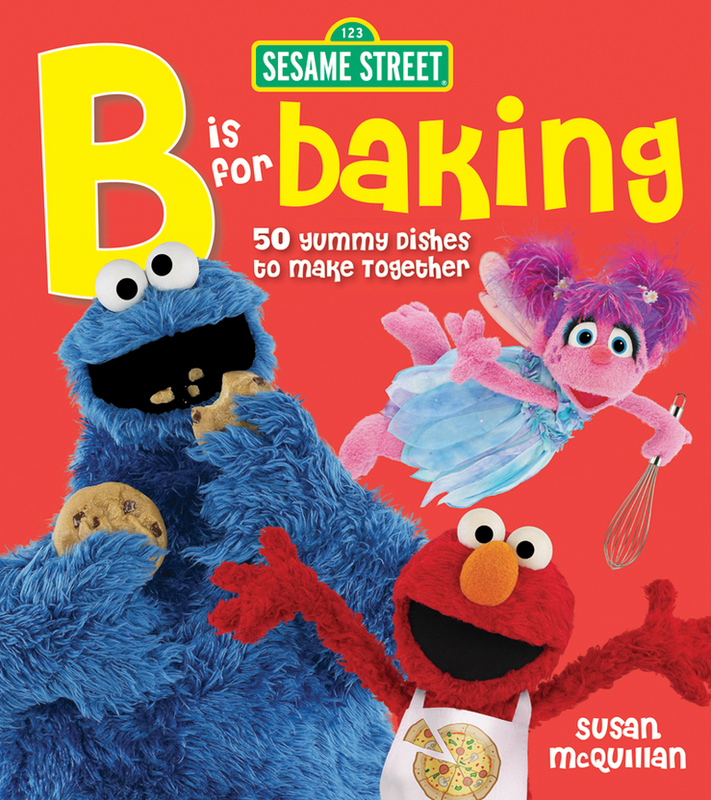 Sesame Street B is for Baking: 50 Yummy Dishes to Make Together by Susan McQuillan & Sesame Workshop is a wonderful way to introduce your little ones to the joys of baking using fresh ingredients with kid-friendly recipes for breakfast, lunch, dinner, snacks and even special occasions. Colorful illustrations throughout the book show off all of the healthy eats and treats, and the Sesame Street gang makes the whole process fun! It may be much easier to get your child to eat his or her vegetables when the dishes are named “Oscar’s Messy Green Stuff in a Potato Crust” or “Abby Cadabby’s Amazing Carrot Puff!” Full-sized photos of the recipes, detailed instructions, and fun facts throughout the recipe book help to inspire kids to develop good eating habits while having fun in the kitchen at the same time! What did “Mom” and her little one create in the kitchen from Sesame Street B is for Baking: 50 Yummy Dishes to Make Together? Abby Cadabby’s Disappearing Strawberry Muffins! 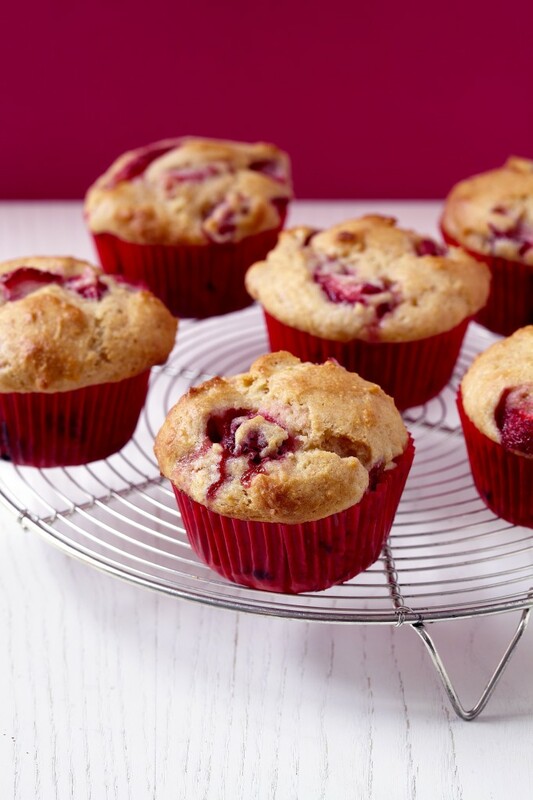 These muffins can also be made using other fruits or berries in season, so “Mom” used raspberries. They were fluffy and delicious, and tasted best warm, right from the oven! Line 12 muffin cups with paper liners, or lightly grease each cup. In a medium bowl, whisk together the all-purpose flour, whole-wheat flour, sugar, cornmeal, baking powder, baking soda, and salt; set aside. In a large bowl, use a rubber spatula to stir together the yogurt and oil, then stir in the egg until well-blended. Stir in the flour mixture just until mixed. Fold in the strawberries. Fill the muffin cups two-thirds of the way full. Bake for 20 to 25 minutes or until a toothpick inserted in the center of one muffin comes out clean. Transfer to rack to cool for a minute or two. Turn muffins out to cool further. To order a copy of Sesame Street B is for Baking: 50 Yummy Dishes to Make Together, or to learn more, visit www.sesameworkshop.org. As summer has just drawn to a close, utility bills are set to significantly increase as cold weather will take hold over the next few months. Making your home more energy efficient can help to reduce the hefty prices that heat, light and water carry. The autumn and winter months can be particularly tight as Christmas looms, another large expense for many families so saving money on energy bills is particularly important. Bathrooms are one of the most expensive rooms in the house to run in terms of day-to-day usage. They are responsible for large amounts of water, heat and often light as people wash, use the toilet and generally get ready to go out. Reducing the amount your bathroom is costing you can really help your pocket and the environment. Simple energy efficiency tips should help you see reductions in your energy bills – perfect for the colder months. Toilets are the most used object in the bathroom and are necessary for good sanitation and hygiene within the home. However, they can also be a major money burner, particularly if they’re an old model. Toilets that are over ten years old won’t be energy efficient and could be wasting gallons of water. The average old toilet uses between 3.5 and 7 gallons of water per flush; whereas newer, energy efficient models use around 1.6 gallons of water per flush. Also, dual flush toilets have an option to flush liquid waste which saves even more water. Water saving shower heads can be a great way to minimise the amount of water wasted when in the shower. Many people only actually use around half of the water that pours from the shower head, as many people leave the shower running whilst shampooing their hair or washing their body rather than repeatedly turning it on and off. This can waste an incredible amount of water and energy (it’s unlikely you’ll take a cold shower in the winter) which all costs you money to produce. Water saving shower heads control the spray pattern and can save up to half the amount of water of a power shower, whilst still producing the same feel. Although showers generally consume less water than a bath it can sometimes be necessary to use the bath, particularly for bathing a child. In this case, avoid overfilling the bath with more water than necessary. Another common problem for many homeowners is that the hot water runs out and they begin to use the kettle to fill the bath. A vast amount of energy can be wasted during each repetition of boiling the kettle, making the bathing experience even more costly! If you have small children of a similar age it’s wise to bathe them together, using half the amount of water than if they were to wash separately. Renewable energy resources can be a great way to significantly reduce energy bills and often have long term investment benefits. Solar PV are becoming increasingly popular as the feed-in tariff rates prove an excellent return on investment whilst free electricity is an attractive prospect as utility bills continually rise. Those who don’t have the money to invest can also get free solar panels installed by sacrificing their feed-in tariff and just reaping the benefits of free electricity. There are many ways to reduce energy consumption in the bathroom and although applying all of them would return the best results, even a small increase in bathroom efficiency can reduce energy bills whilst helping the environment. Written by Stephanie Staszko on behalf of Solar Choice and Solvis, you can follow her on Twitter @StephStaz for more green posts. There are two things that “Mom” cannot get enough of when it comes to food – goat cheese and dried cherries! This salad includes both, and what a combination! 1. Whisk together garlic, salt, pepper, vinegar, mustard and honey in a small bowl. Whisk in oil in a steady stream. 2. Drizzle sirloin steak with 2 tablespoons vinaigrette; reserve remaining for salad. Heat a large skillet coated with cooking spray over high heat. Add steak and sear about 3 minutes per side or until desired degree of doneness. Let rest and cut into slices. 3. Place lettuce in a large bowl. 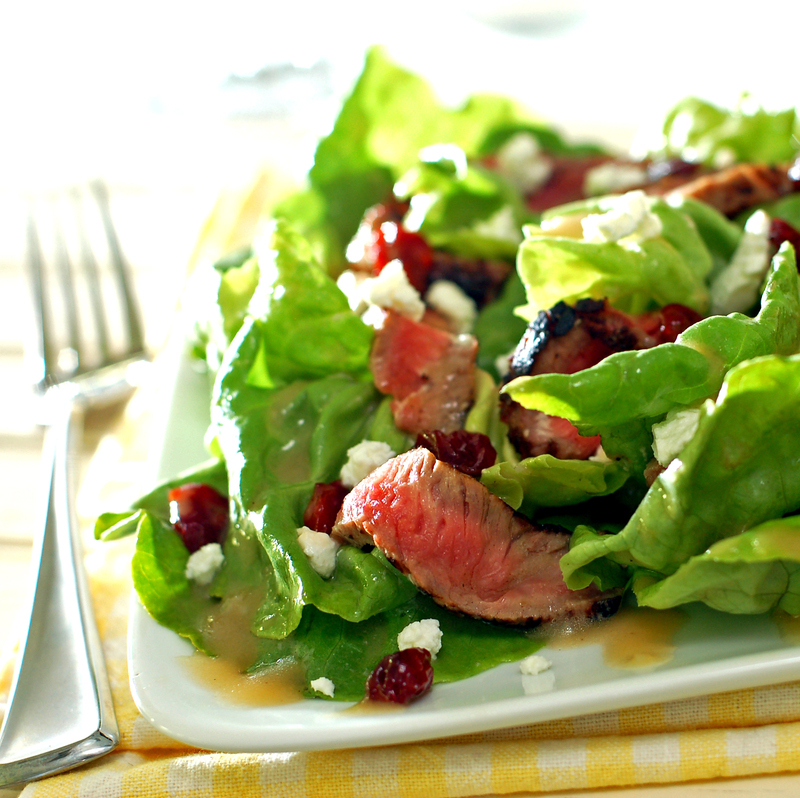 Toss with steak, cherries and goat cheese. Drizzle vinaigrette over salad, tossing well.